Central Health is a local governmental entity responsible for purchasing health care services for eligible low-income residents of Travis County. Its primary source of revenue is property taxes. 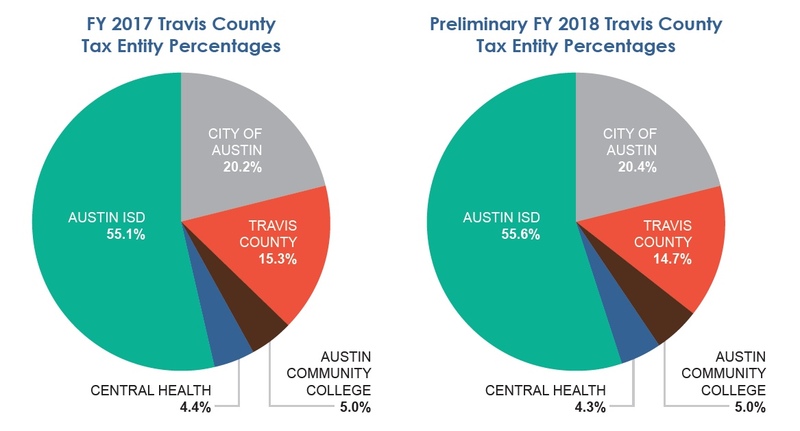 As a steward of public funds, Central Health must balance fiscal responsibility with the growing need for health care services among Travis County’s low-income and uninsured population. For more details and information visit the Finance section of the website. Central Health is a minor piece of the total property taxes for Travis County residents residing in the jurisdictions outlined below. Year-over-year Central Health maintains the smallest portion of the total tax bill.